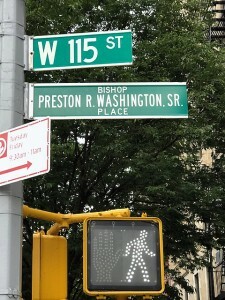 New York City has honored Preston Washington, ’70, by renaming 115th Street West “Bishop Preston Washington Street.” This is, indeed, quite an honor. 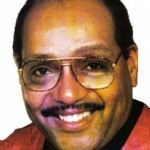 For full details on Preston’s life, commitment, and contributions to New York City, see Preston Washington, In Memoriam. 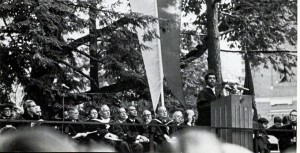 Read Preston’s Graduation Address to the Class of ’70 at CommencementSpeech1970033, courtesy, Williams College Library Archives. You can add your own tribute or memory in the Reply box below. Our special thanks to Cliff Robinson, ’70, for alerting us to this honor.